Reports coming from several different sources claim that some brand-new iPhones are not charging unless their screens are on. This issue apparently affects both the iPhone XS and XS Max. However, the reports also suggest that this problem is software based, yet not constant across all devices. Apple device users have taken to their online communities (e.g. the MacRumors forums) to highlight a potentially serious issue with their new iPhones. 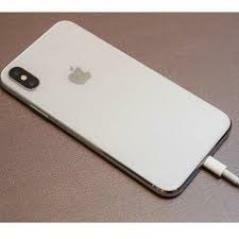 Several different users who claim to own either the XS or XS Max allege that their phones do not recognize a Lightning cable plugged in for charging purposes while the devices are in sleep mode. Conversely, when the screen is on, this issue does not arise. In other words, if the affected iPhone XS or XS Max has a dark screen when the user wants to charge the phone via a Lightning cable, it will not work. Therefore, this potential new problem with box-fresh iPhones may end up joining others such as Bendgate, Antennagate and...uh...Slowdown-gate as examples of critical, Apple-specific impacts on their normal use as smartphones. On the other hand, this issue may be explained as a result of Apple's software-based restrictions on using data cables for transfers while a device is idle or sleeping. This has been instituted to manage the risks of direct-access hacking and device sabotage. However, for this theory to make complete sense, it would affect all new iPhones across the board. Worryingly, some users (and tech correspondents) have reported that they have not been able to replicate the issue with their own XS or XS Max units. So far, Apple has not responded publicly to the increasing number of customer concerns. Hopefully - especially considering the price demanded for these updated iPhones - they will soon.